The Anvil Atlas fly-tying vice has all the great features you could ever want at an affordable price. 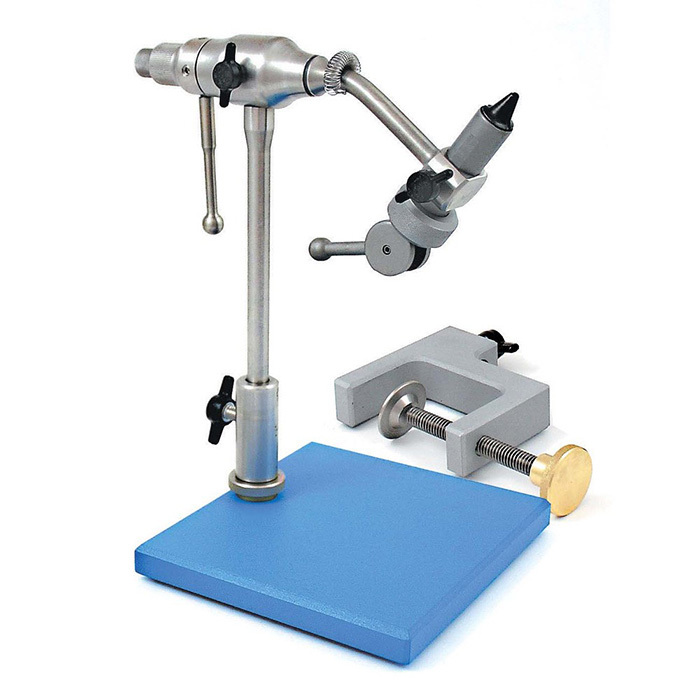 This fly-tying vice features a genuine full rotary function with adjustment. For hook sizes from 28 - 6/0. The vice features modern computer machined stainless steel construction with hardened steel jaws. The Anvil Atlas fly tying vice comes complete with both a c-clamp and pedestal base, a feature not often found on the fly tying vice market today. This gives you the option of tying at home with a sturdy c-clamp or on the road with a convenient pedestal. Smooth rotation on precision bearings. Hooks Hold 28 – 6/0. Supplied with pedestal & clamp.